From rumors still swirling around the presidential election to a growing number of sexual misconduct allegations, 2017 has been a year rife with controversy. Read on for a look back at the seven most notable political scandals of the past year. It’s a bipartisan issue: the mounting waves of sexual misconduct allegations against lawmakers at the national, state and local levels. Post-Harvey Weinstein, there has been a surge of women – and men – who have stood up against the powerful lawmakers who they said sexually harassed or abused them. Some of these lawmakers have seen their careers ended. A month before the special Senate election in Alabama, GOP candidate Roy Moore was hit with multiple accusations that he had inappropriate relationships with teenage girls when he was in his 30s. One woman said she was 14 when he inappropriately touched her. The age of consent in Alabama is 16. Judge Roy Moore, the Republican Senate candidate in Alabama, was accused of sexual misconduct against several teenage girls when he was in his 30s. Moore lost the special election to Democrat Doug Jones. 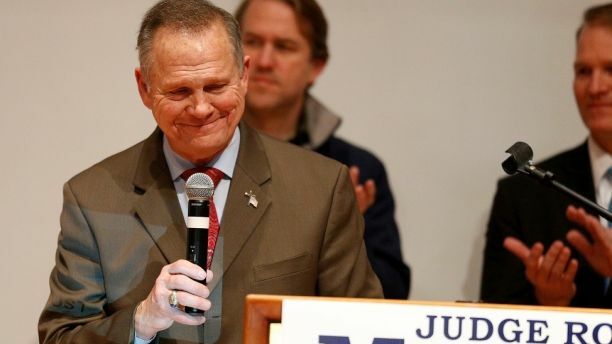 Now 70 years old, Moore has denied the allegations. He told Fox News’ Sean Hannity that he “generally” didn’t date women who were teenagers when he was in his 30s and would not date someone without her mother’s permission. After the allegations came to light, several leading Republicans backed away from Moore and called on him to step aside from the race. However, others – including President Trump and Steve Bannon – continued to support him. Moore lost the election to Doug Jones, the first Democrat to win a national election in the deep red state in more than two decades. Sen. Al Franken, D-Minn., announced that he would resign his seat on Dec. 7 after multiple women accused him of sexual misconduct, from groping to forcibly kissing. 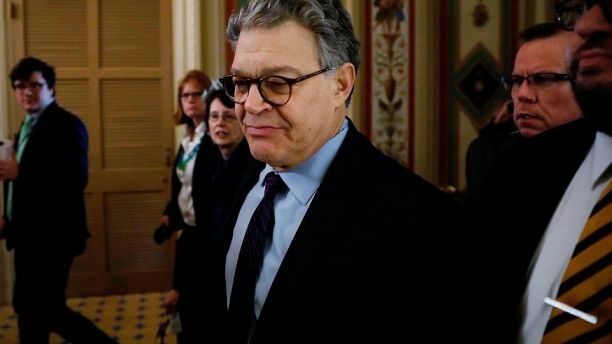 Sen. Al Franken, D-Minn., said he would resign after multiple women accused him of sexual misconduct, but he hasn’t revealed when exactly he would leave the Senate. The former “Saturday Night Live” performer contended that some of the allegations weren’t true but said he would resign as he did not believe he would be able to effectively continue with his job based on the nature of the allegations. His announcement came after dozens of Democrats called for him to step aside. Franken is expected to resign on Jan. 2, 2018. Multiple congressmen have been accused of sexual misconduct this year, as well. 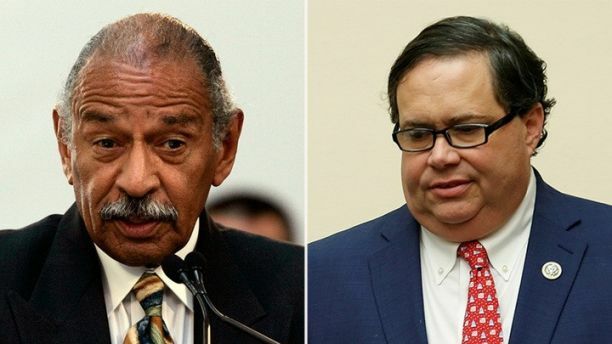 Multiple congressmen have been accused of sexual misconduct this year. Rep. John Conyers, D-Mich., retired in December following allegations. And Rep. Blake Farenthold, R-Texas, said he would not seek reelection. Rep. John Conyers, D-Mich., announced on Dec. 5 that he would immediately retire from the House after multiple women alleged that he sexually harassed them while he was in Congress. Conyers reportedly settled a complaint with a former female staffer for $27,000, who claimed she was fired for rejecting his advances. Republican Rep. Trent Franks of Arizona also announced he would resign from Congress due to misconduct allegations against him. Franks said he made some female staffers “uncomfortable” when he discussed surrogacy issues with him. He reportedly asked two female employees to be a surrogate for him and his wife. Franks’ announcement came as the House Ethics Committee said it would probe the matter. He was the third member of Congress to leave in one week due to accusations of sexual misconduct. The Ethics Committee also announced in December that it was expanding an investigation into Rep. Blake Farenthold, R-Texas, regarding sexual harassment claims against him. The Office of Compliance, which settles claims against members of Congress, said it settled a sexual harassment claim for $84,000 that an aide said came from Farenthold’s office. Farenthold announced in December 2017 that he would retire. Rep. Ruben Kihuen, D-Nev., was accused of sexually harassing a former campaign worker. She alleged that Kihuen repeatedly asked her for dates and twice touched her thigh. Allegations of sexual misconduct aren’t just rocking those in Washington, D.C.
California Assembly Majority Whip Raul Bocanegra, a top California Democrat, stepped down as majority whip after multiple women accused him of sexual harassment and “inappropriate and unwelcome physical contact.” Bocanegra ended his reelection campaign and said he would resign from the Assembly next year. In Ohio, Republican state Rep. Wes Goodman resigned after he engaged in “inappropriate behavior related to his state office.” The interaction was believed to have been consensual with another male. The Independent Journal Review reported that as many as 30 individuals accused Goodman of sexually inappropriate behavior and messages. Ed Murray was Seattle’s mayor before he stepped down in September amid multiple accusations of sexual abuse and molestation. Multiple men accused Murray of sexual abuse; Murray has denied the allegations. Former Rep. Anthony Weiner rose to fame with an impassioned speech in Congress in 2010, only to be taken down by a scandal that involved “sexting” multiple women for years. He was sentenced to 21 months in prison in September on federal charges of sending sexually explicit messages to a teenage girl. It’s been more than a year since Donald Trump was elected president, but allegations that his campaign colluded with the Russian government to beat Democrat Hillary Clinton persist – and his administration continues to deny them. Robert Mueller was named the special counsel overseeing the investigation and has already charged four people related to the Trump administration and campaign. The Department of Justice announced the appointment of former FBI Director Robert Mueller as special counsel to oversee the federal investigation into Russia’s influence on the presidential election on May 17 – following a growing Democratic outcry for someone outside the Justice Department to oversee the investigation. 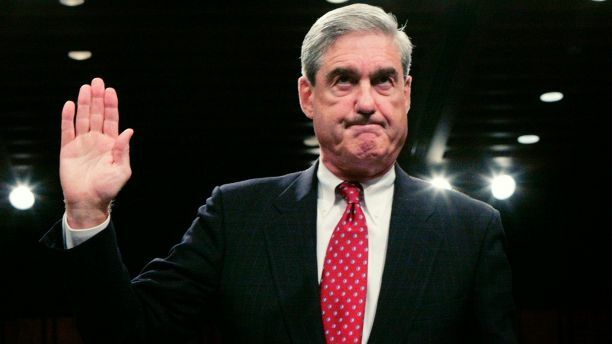 Former FBI Director Robert Mueller was selected to oversee the investigation into Russia’s involvement in the 2016 presidential election. Attorney Gen. Jeff Sessions – who was the first sitting senator to endorse Trump – recused himself from the investigation. Mueller’s team has already charged four people related to the probe: Michael Flynn, Paul Manafort, Richard Gates and George Papadopoulos. 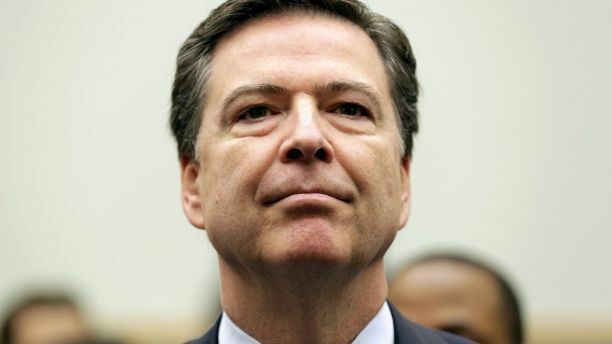 Trump sacked FBI Director James Comey on May 9 — less than two months after Comey announced the agency was looking into ties between the Trump campaign and Russia. President Trump fired FBI director James Comey just a few months after he announced that the agency would look into potential collusion between the Trump campaign and Russian government. The White House maintained that Comey was let go due to his handling of the FBI’s investigation into Hillary Clinton’s use of a private email server during her tenure as secretary of state. But Trump has alluded to the notion that he was considering the Russia investigation when he fired Comey. Comey told a Senate intelligence committee that Trump had asked him to drop the FBI investigation into Michael Flynn, Trump’s former national security adviser. The White House said Trump was not attempting to influence Comey. Paul Manafort resigned as Trump’s campaign manager in August 2016 amid questions regarding his business dealings in Ukraine. The special counsel took over the criminal investigation into Manafort’s financial dealings – dating back even prior to the presidential election. FBI agents raided his Virginia home earlier this year, and Manafort – along with his associate, Richard Gates – was told to turn himself into federal authorities at the end of October. Manafort was charged with 12 counts that included: conspiracy against the U.S., conspiracy to launder money and making false statements to the FBI. 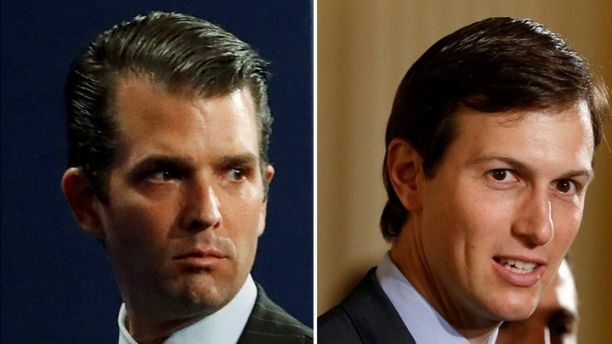 Donald Trump Jr., the president’s oldest son, came under fire this year as it was revealed that he took a meeting with a Russian lawyer during the 2016 campaign who claimed to have damaging information regarding Hillary Clinton. Donald Trump Jr., the president’s oldest son (left), took a meeting with a Russian lawyer during the presidential campaign who was supposed to have damaging information about Hillary Clinton. Jared Kushner, the president’s son-in-law (right), also attended the meeting. “This is obviously very high level and sensitive information but is part of Russia and its government’s support for Mr. Trump,” an email about the meeting said in part. Trump Jr. maintained that the lawyer, Natalia Veselnitskaya, did not have any information to share and instead wanted to discuss other matters, such as the Magnitsky Act and other sanctions. Also in attendance at the meeting was Paul Manafort and Jared Kushner, who is married to Ivanka Trump. There was a growing number of people who left the Trump administration in just its first year – a group that includes former press secretary Sean Spicer, chief strategist Steve Bannon and White House Office of Public Liaison staffer Omarosa Manigault Newman. Tom Price officially resigned from his post as Health and Human Services Secretary in September following widespread criticism for his use of private planes to make work trips. 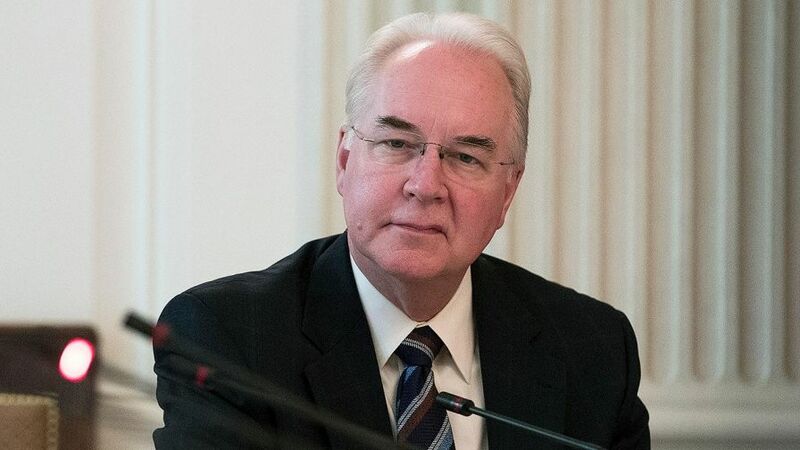 Price had promised to repay the government for the use of his costly flights and vowed never to take a private charter plane again while in his post as secretary. But Trump had suggested that he was considering firing the former Georgia congressman ahead of Price’s resignation. Financier Anthony Scaramucci only lasted as the White House communications director for 11 days. 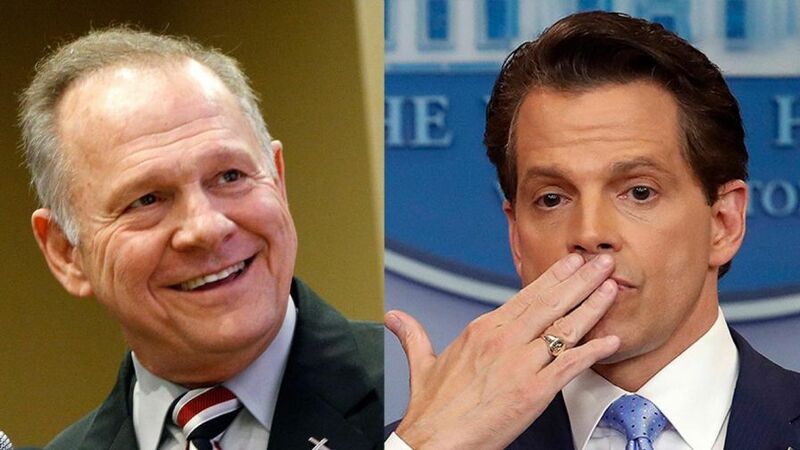 But he managed to cause quite the shakeup in his short time in D.C.
Anthony Scaramucci was the White House communications director for less than two weeks. He was dismissed from his position after he went on an on-the-record, profanity-laced rant about other members of the Trump administration. 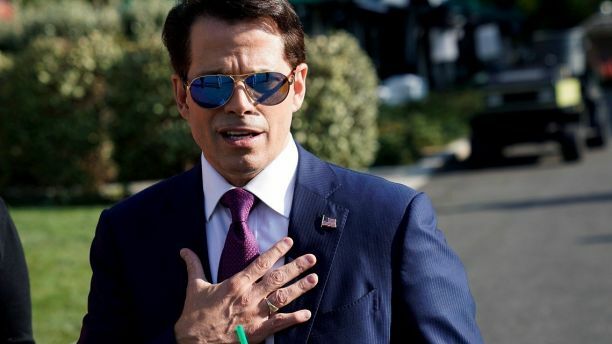 In his first weekend as the communications director for the White House, Scaramucci gave interview after interview and promised that it was time for the Trump administration to hit the “reset button” with the press. And in one particular interview with the New Yorker, Scaramucci’s candor went a bit too far. Using vulgar language, Scaramucci slammed former administration officials Reince Priebus and Steve Bannon. “Reince is a f—ing paranoid schizophrenic, a paranoiac,” Scaramucci said during the interview. Trump ultimately let Scaramucci go. Omarosa Manigault Newman, the White House Office of Public Liaison’s communications director, will leave the administration in January, White House press secretary Sarah Sanders announced in December. Omarosa Manigault Newman said there was a “lack of diversity” in the Trump administration. Details of Manigault Newman’s departure created some drama as it was reported that she was escorted off the White House grounds after resigning. In an interview following her exit, Manigault Newman decried what she perceived as the lack of diversity in the Trump administration. 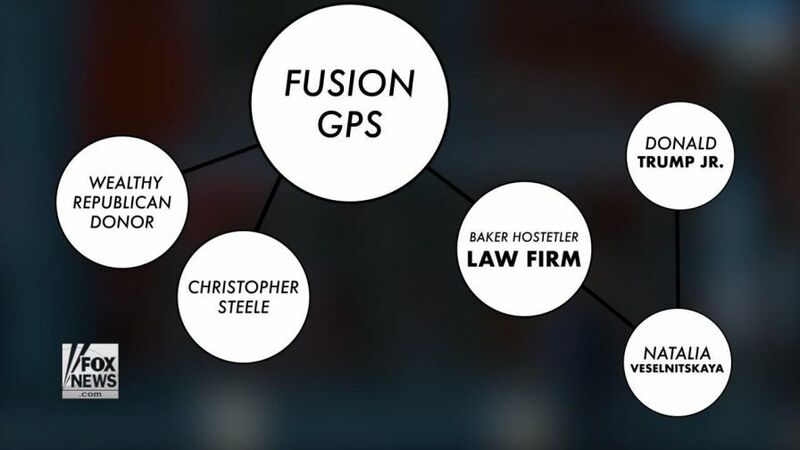 Fusion GPS is the firm behind a controversial and unproven dossier that contained allegations regarding Trump’s connections to Russia – as well as other lurid details about the president. The firm was originally retained during the election by the conservative website Washington Free Beacon, which wanted opposition research on 2016 candidates but apparently was not involved in the dossier. But in a bombshell development, it emerged this year that Clinton and the DNC later retained Fusion GPS through lawyer Marc Elias and his firm, Perkins Coie. Then came the Trump dossier. Clinton reportedly did not know about the dossier until BuzzFeed News published it in January 2017. Democrats have defended it as simply opposition research. But Republicans want to know to what extent it was used to get a surveillance warrant against a Trump associate. For Donna Brazile, 2017 was a year to come clean. Former interim DNC chairwoman Donna Brazile said she found evidence that the national party worked with Hillary Clinton to give her a leg up for the nomination. But Brazile later addressed rumors — in a big way — that the DNC unfairly favored Clinton over Bernie Sanders, the progressive Vermont senator. “I had promised Bernie when I took the helm of the Democratic National Committee after the convention that I would get to the bottom of whether Hillary Clinton’s team had rigged the nomination process, as a cache of emails stolen by Russian hackers and posted online had suggested,” Brazile wrote in her campaign memoir, “Hacks,” which was first excerpted in Politico Magazine. “By Sept. 7, the day I called Bernie, I had found my proof, and it broke my heart,” Brazile said. 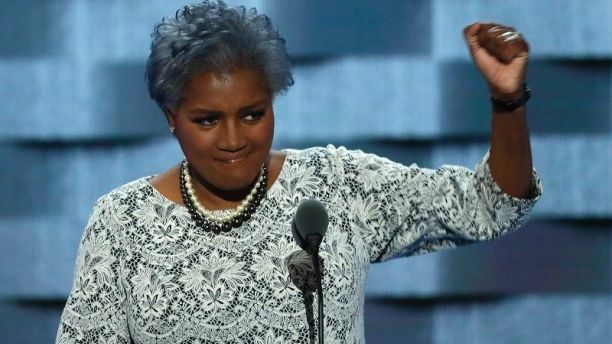 Brazile said she found a joint fundraising agreement document between the DNC, the Hillary Victory Fund and Hillary for America from August 2015 — just a few months after Clinton announced her candidacy. Through a 2013 deal, Russia-backed company Rosatom acquired a Canadian uranium mining company which has assets in the U.S. The deal first emerged in news reports in 2015, raising questions about connnections to the Clintons. But it surged back into the headlines this year when The Hill reported the FBI had looked into the agreement and uncovered that some Russian nuclear industry officials were engaged in nefarious dealings, which included extortion, bribery and kickbacks. Because of the deal, Russia is able to own about 20 percent of U.S. uranium production capacity, although experts estimate that Rosatom only extracts about 11 percent of the uranium in the U.S. The agreement was approved by nine government agencies with the Committee on Foreign Investment in the United States (CFIUS). Hillary Clinton’s State Department was one of those agencies, although the former secretary of state has said that she was not “personally involved” in the deal. At issue is how the deal came to be. 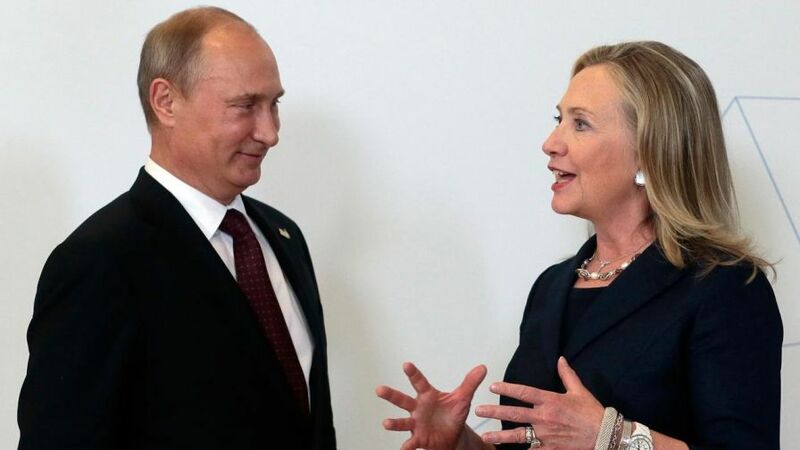 Republicans have largely decried the transaction, especially as some investors reportedly donated millions of dollars to the Clinton Foundation, and former President Bill Clinton received a $500,000 speaking fee in Russia and met with Vladimir Putin around the time of the deal. But according to The Hill, evidence of wrongdoing by Vadim Mikerin, the Russian official overseeing Putin’s nuclear expansion in the U.S. who was eventually sentenced to prison, was also discovered by the FBI before the deal was approved. New Jersey Gov. Chris Christie made quite the splash this year for a number of his decisions — including when he was caught lounging on a private beach after a government shutdown closed public beaches during the first weekend in July. After public New Jersey beaches were shuttered during the Fourth of July weekend due to a government shutdown, Gov. 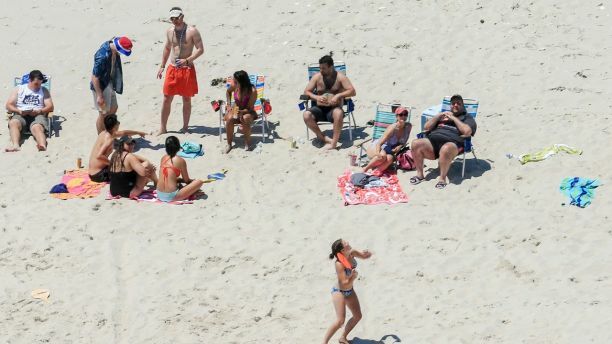 Chris Christie, R, was caught lounging on a private beach. “That’s the way it goes. Run for governor, and you can have the residence,” the Republican said in response to critics. But Christie wasn’t the only governor to make a flop this year. Alabama Gov. Robert Bentley, R, resigned in April following allegations that he used state money to conceal an affair. Fox News’ Alex Pappas and The Associated Press contributed to this report.